Vitamin D is required to promote calcium absorption, which helps to maintain healthy bones and teeth. Vitamin D also supports a healthy immune system and�neuromuscular function. The Vitamin D3 in this product is the same form produced by the body when our skin is exposed to sunlight. As we age, our bodies�may absorb�this important nutrient less efficiently. This formulation provides premium Vitamin D3 in convenient, easy to swallow vegetable capsules. Vitamin D is required to promote calcium absorption, which helps to maintain healthy bones and teeth. Vitamin D also supports a healthy immune system and�neuromuscular function. The Vitamin D3 in this product is the same form produced by the body when our skin is exposed to sunlight. As we age, our bodies�may absorb�this important nutrient less efficiently. This formulation provides premium Vitamin D3 in convenient, easy to swallow vegetable capsules. Vitamin D is actually a hormone in the body and positively impacts weight, bone density, mood and brain health, energy, blood sugar, and more. Vitamin D is required to promote calcium absorption, which helps to maintain healthy bones and teeth. Vitamin D also supports a healthy immune system and�neuromuscular function. The Vitamin D3 in this product is the same form produced by the body when our skin is exposed to sunlight. As we age, our bodies�may absorb�this important nutrient less efficiently. This formulation provides premium Vitamin D3 in convenient, easy to swallow vegetable capsules. Vitamin D is required to promote calcium absorption, which helps to maintain healthy bones and teeth. Vitamin D also supports a healthy immune system and�neuromuscular function. The Vitamin D3 in this product is the same form produced by the body when our skin is exposed to sunlight. As we age, our bodies�may absorb�this important nutrient less efficiently. This formulation provides premium Vitamin D3 in convenient, easy to swallow vegetable capsules. Vitamin D is required to promote calcium absorption, which helps to maintain healthy bones and teeth. Vitamin D also supports a healthy immune system and�neuromuscular function. The Vitamin D3 in this product is the same form produced by the body when our skin is exposed to sunlight. As we age, our bodies�may absorb�this important nutrient less efficiently. This formulation provides premium Vitamin D3 in convenient, easy to swallow vegetable capsules. Bluebonnet�s Vitamin D3 400 IU Softgels provide 100% natural vitamin D3 (cholecalciferol) from deep sea, cold water, fish liver oil and is molecularly distilled. Available in easy-to-swallow softgels for maximum assimilation and absorption. Futurebiotics� Chewable Vitamin D3 1000 IU is a delicious, easy-to-chew tablet that is the perfect way to help replenish the body's vitamin D status. Furthermore, research as shown that vitamin D supports bone, colon, muscle, immune and breast health. Vitamin D is a fat-soluble, essential nutrient for the body. Often referred to as "the sunshine vitamin," vitamin D is produced through skin exposure to sunlight, which triggers vitamin D synthesis. However, despite the importance of the sun to vitamin D synthesis, many Americans are getting less and less of it as they limit sun exposure to the skin. In fact, recent research indicates that as many as 75% of Americans have low vitamin D levels. Leading health experts advise that dietary supplements are a key way to meet vitamin D requirements. Futurebiotics Chewable Vitamin D3 tablets provide 1000 IU of vitamin D as cholecalciferol, the preferred form. Vitamin D provides a wide-range of health benefits and continues to be the focus of ongoing research. Vitamin D is actually a hormone in the body and positively impacts weight, bone density, mood and brain health, energy, blood sugar, and more. Bluebonnet�s Vitamin D3 400 IU Softgels provide 100% natural vitamin D3 (cholecalciferol) from deep sea, cold water, fish liver oil and is molecularly distilled. Available in easy-to-swallow softgels for maximum assimilation and absorption. Bluebonnet�s Vitamin D3 1000 IU Softgels provide 100% natural vitamin D3 (cholecalciferol) from deep sea, cold water, fish liver oil and is molecularly distilled. Available in easy-to-swallow softgels for maximum assimilation and absorption. Bluebonnet�s EarthSweet� Vitamin D3 400 IU Chewable Tablets provide natural vitamin D3 (cholecalciferol) from lanolin in a natural raspberry flavor. Available in chewable tablets for maximum assimilation and absorption. Bluebonnet�s Vitamin D3 1000 IU Softgels provide 100% natural vitamin D3 (cholecalciferol) from deep sea, cold water, fish liver oil and is molecularly distilled. Available in easy-to-swallow softgels for maximum assimilation and absorption. Bluebonnet�s Vitamin D3 2000 IU Softgels provide 100% natural vitamin D3 (cholecalciferol) from deep sea, cold water, fish liver oil and is molecularly distilled. Available in easy-to-swallow softgels for maximum assimilation and absorption. Vitamin D is required to promote calcium absorption, which helps to maintain healthy bones and teeth. Vitamin D also supports a healthy immune system and�neuromuscular function. The Vitamin D3 in this product is the same form produced by the body when our skin is exposed to sunlight. As we age, our bodies�may absorb�this important nutrient less efficiently. This formulation provides premium Vitamin D3 in convenient, easy to swallow vegetable capsules. Vitamin D is actually a hormone in the body and positively impacts weight, bone density, mood and brain health, energy, blood sugar, and more. Bluebonnet�s EarthSweet� Vitamin D3 1000 IU Chewable Tablets provide natural vitamin D3 (cholecalciferol) from lanolin in a natural raspberry flavor. Available in chewable tablets for maximum assimilation and absorption. Vitamin D is required to promote calcium absorption, which helps to maintain healthy bones and teeth. Vitamin D also supports a healthy immune system and�neuromuscular function. The Vitamin D3 in this product is the same form produced by the body when our skin is exposed to sunlight. As we age, our bodies�may absorb�this important nutrient less efficiently. 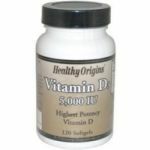 This formulation provides premium Vitamin D3 in convenient, easy to swallow vegetable capsules. Vitamin D is required to promote calcium absorption, which helps to maintain healthy bones and teeth. Vitamin D also supports a healthy immune system and�neuromuscular function. The Vitamin D3 in this product is the same form produced by the body when our skin is exposed to sunlight. As we age, our bodies�may absorb�this important nutrient less efficiently. This formulation provides premium Vitamin D3 in convenient, easy to swallow vegetable capsules. Vitamin D is actually a hormone in the body and positively impacts weight, bone density, mood and brain health, energy, blood sugar, and more. The single most important nutrient recommended for supplementation. Vitamin D is usually obtained through diet or produced by the skin from the ultraviolet energy of the sun. Poor diet and lack of sun exposure can result in inadequate intake of Vitamin D for optimal health. Researchers now know that vitamin D plays a much larger role in promoting health than simply helping build strong bones. Vitamin D helps regulate healthy cell growth, supports immunity, heart health, a normal inflammatory response and healthy aging. Research over the last decade suggests that vitamin D may be the single most important nutrient recommended for supplementation. Vitamin D is required to promote calcium absorption, which helps to maintain healthy bones and teeth. Vitamin D also supports a healthy immune system and�neuromuscular function. The Vitamin D3 in this product is the same form produced by the body when our skin is exposed to sunlight. As we age, our bodies�may absorb�this important nutrient less efficiently. 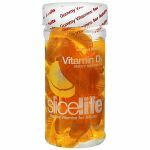 This formulation provides premium Vitamin D3 in convenient, easy to swallow vegetable capsules. Vitamin D is actually a hormone in the body and positively impacts weight, bone density, mood and brain health, energy, blood sugar, and more. Vitamin D is required to promote calcium absorption, which helps to maintain healthy bones and teeth. Vitamin D also supports a healthy immune system and�neuromuscular function. The Vitamin D3 in this product is the same form produced by the body when our skin is exposed to sunlight. As we age, our bodies�may absorb�this important nutrient less efficiently. This formulation provides premium Vitamin D3 in convenient, easy to swallow vegetable capsules. Bluebonnet�s Vitamin D3 2000 IU Softgels provide 100% natural vitamin D3 (cholecalciferol) from deep sea, cold water, fish liver oil and is molecularly distilled. Available in easy-to-swallow softgels for maximum assimilation and absorption.